Hickman, Nebraska wanted a community space. They wanted to enjoy the learning opportunities provided by a library; the health advantages associated with a recreation center; and the social opportunities of a public gathering place. But in the town of 2,000 people, the community center of their dreams would be impossible to fund alone. For Hickman, it started with a JEO-led strategic planning process. 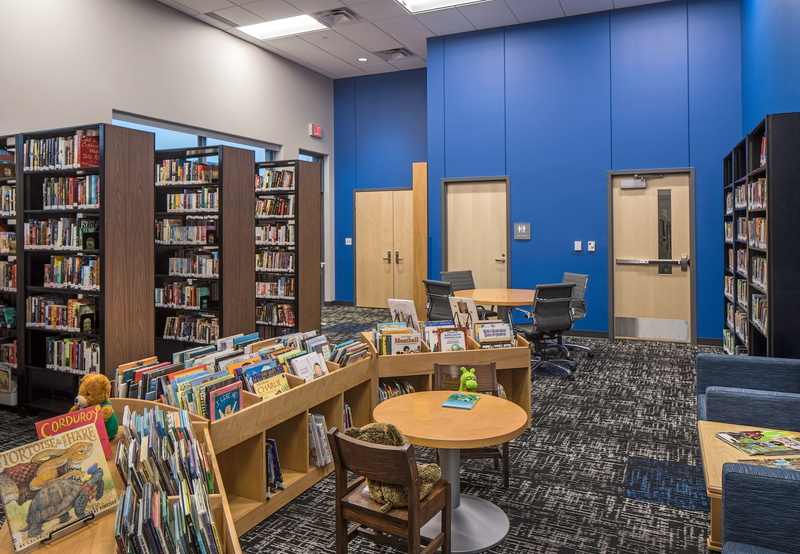 Local stakeholders rated a new community center as the city’s top need, followed by a new library, recreation center, and updated city offices. Hickman hired our Architecture team to program a building that combined the community’s most-wanted amenities into a single, multipurpose facility. With this vision in place, Hickman then worked with our planners to create a planning study that outlined the scope of the project and provided cost estimates for the work. 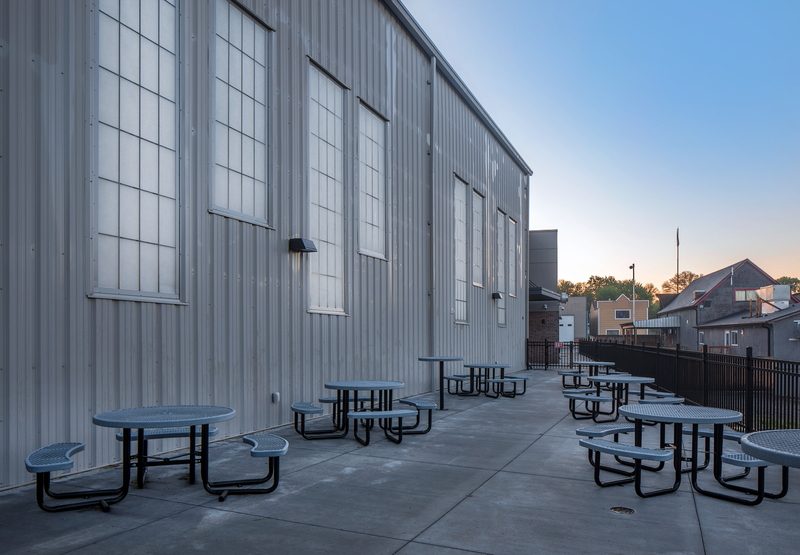 The 16,940 SF building features a multi-purpose room that can be used as a gym, a reading center, meeting room, patio, city offices, and a kitchen and bar area. The price tag for the facility, with a design tailored to Hickman’s specifications and needs, was about $4 million. In partnership with our Funding department, the city combined grants, low-interest loans, and statutorily-authorized programs to fund the community center project. Each of the funding sources selected complimented and leveraged one another. The proceeds of a 1.5% local option sales tax (LOST) are being used to repay a $3.6M low-interest loan through USDA Rural Development. 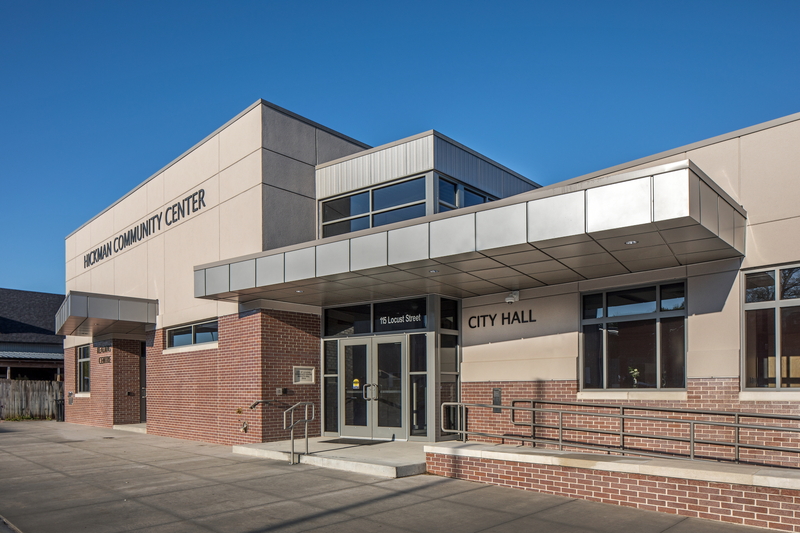 Using the LOST and USDA’s loan as a local match, Hickman successfully won a $375,000 grant from the Nebraska Department of Economic Development through the highly competitive Civic and Community Center Financing Fund Program. The amenities garnered by Hickman’s community center enrich the lives of residents and enhance the community’s sustainability and growth. Hickman’s success was the result of creatively combining strategic planning processes, a solution-oriented design, and leveraging complementary funding sources.